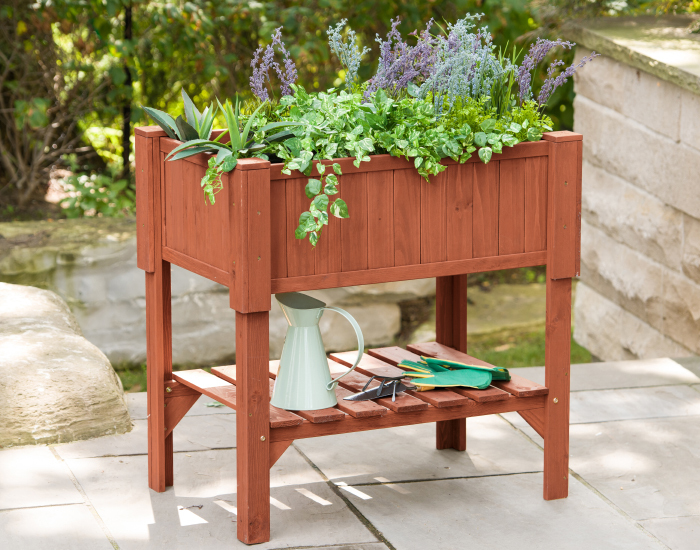 Show off your green thumb and be the envy of your neighborhood with our potting benches, plant stands, planters, garden beds, arbors…. 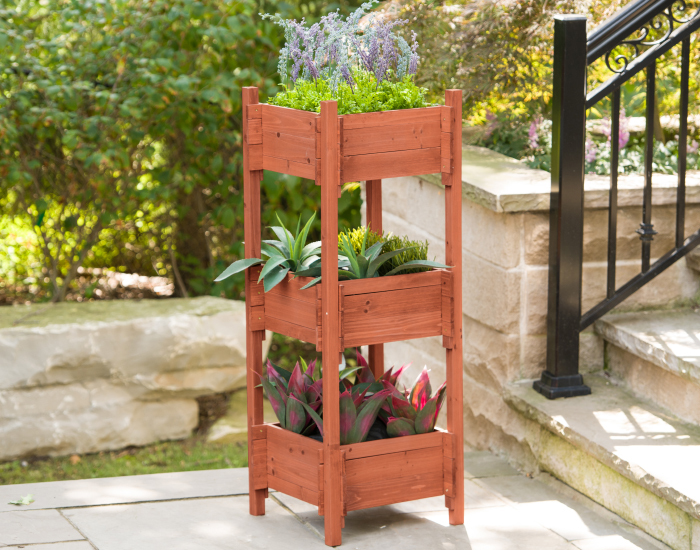 Get your gardening tasks done and display your foliage. Bring out your gardening genius. 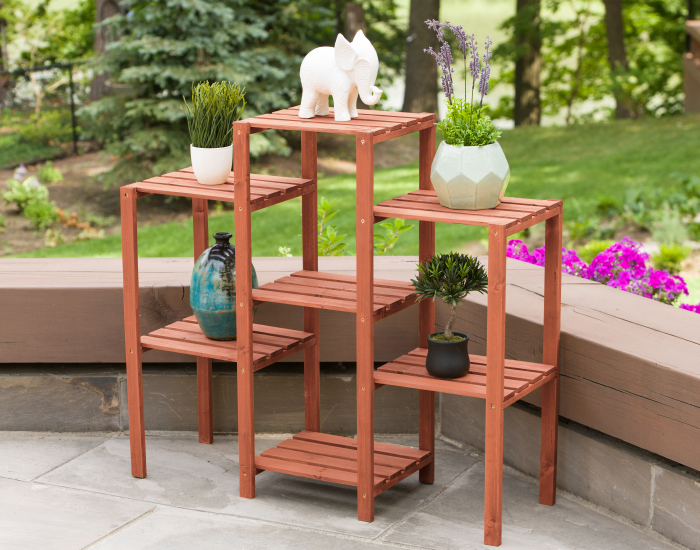 Kiss boring patio sets goodbye. Think furniture that holds up to all types of weather in classic styles with contemporary twists. Lounge to the sounds of the great outdoors with our swings, hammocks, cabanas, daybeds, easy chairs…We think you deserve an uncommon retreat..
Show off your green thumb and be the envy of your neighborhood with our potting benches, plant stands, planters, garden beds, arbors….Get your gardening tasks done and display your foliage. Bring out your gardening genius. Thank you for exploring our products. Every item we make is long lasting, priced fairly, and kind to our environment. Our designs are simple and stylish—many can be used for more than one purpose. Say hello. Get to know us. Invite our products to your next barbeque. Leisure Season wants to help you spend more time outside, more often. 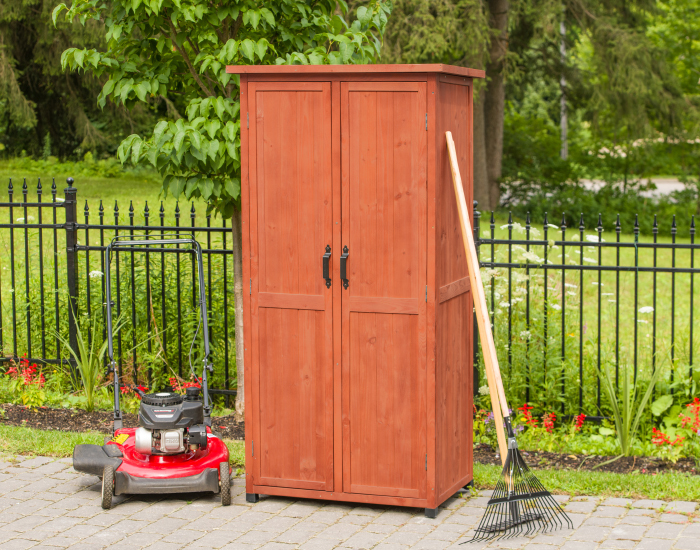 Our specialty is building high quality, one-of-a-kind small format outdoor storage and outdoor living products. Our designs, which are simple, functional, and stylish, reflect our purpose and our promise to customers. Each season inspires new design ideas. Our products embrace the rustic cottagey feel. Others reflect our contemporary perspective and resonate with urban life-styles. 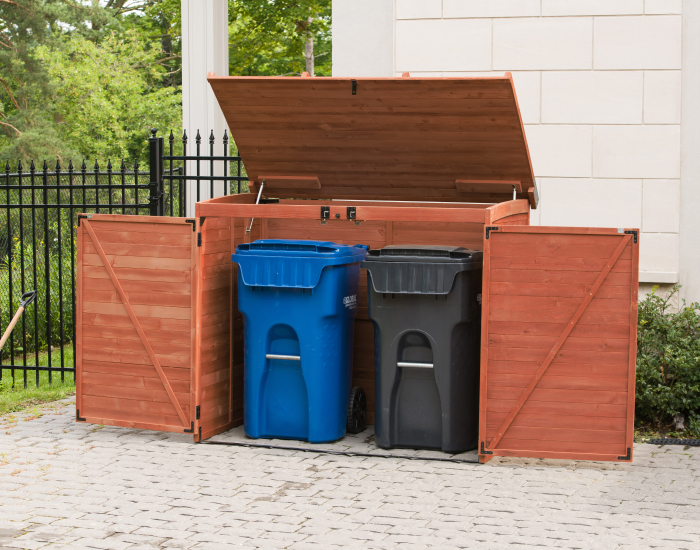 We create durable items that do more than what they’re intended for. We are a green company. Everything we build is Forest Stewardship Council certified. The FSC certification means that wood products were produced by following rigorous standards of responsible forest management. No endless automated voice loops here. Our customer service is handled by real people who know our products. Each person is ready to answer your question and is empowered to offer a solution that makes you happy. Our products are developed in the USA. From concept to design, and through our sustainable company practices, we’ve stayed firmly rooted in the belief that our customers deserve quality. They deserve ease. We also believe that neither should compromise budget or style. Decay-resistant, solid wood is the foundation of each product. Throughout our collection, you’ll find items of outstanding craftmanship in an array of aesthetics and sizes—all built to withstand weather, moves, and heavy-handedness. Our products and packaging are expertly designed to withstand vigorous handling and built to be shipped with ease throughout North America. If it does not pass the packaging quality test it does not leave our factory. We distribute over 150 products in various outdoor collections across North America and the Caribbean. If you’re curious about something you see on our site, talk to us. We’ll help you locate a retailer near you who carries our products. We’ve been in business for over 30 years and during this time, we’ve raised the bar for ourselves and our industry. Our products are used by people world-wide who have a special appreciation for transforming open and outdoor spaces into productive, happy experiences. Every-day people are our customers. They have real homes that are made more spacious by functional, attractive furnishings. We’re proud that we can offer affordable and timeless pieces that truly reflect our above-board standards. Each product comes with a one-year warranty against defects in materials and workmanship. We take pride in ensuring that all our products are made of the finest quality and each product is thoroughly examined before it is shipped out. All of our products are shipped unassembled in flat packs. This helps you get your product through the door and into an area for a quicker set up. We supply easy-to-follow assembly instructions inside the package. All our products are FSC certified (Forest Stewardship Council) and are manufactured using environmentally and socially responsible materials, this allows costumers to be confident in their purchasing decisions. Majority of our products are crafted of solid wood harvested from the Cypress tree family with decay resistance similar to Western Red Cedar. This is a prized timber tree in producing durable scented wood. It is particularly used in manufacturing of outdoor structures and outdoor furniture due to its high decay resistance. This wood naturally maintains inherent oils that enable it to withstand the elements and is well known for its resistance to decay and insects, making it the ideal choice for outdoor applications. It produces a naturally occurring preservative which gives it a head start against the harshest environmental conditions. This versatile wood has a natural beauty, with a rich grain, texture and color that will compliment any architectural style, from rustic to traditional to postmodern. It is dimensionally stable and naturally resistant to splitting and warping. It will reflect your good taste and add dramatically to the look of your home and garden. 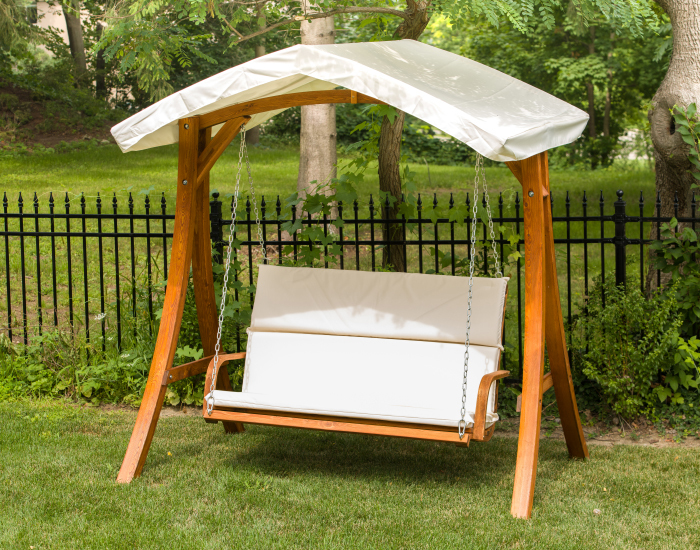 Our hammock stands, swings, and lounges are made of Larch which is a hard strong timber with an attractive warm reddish brown or terracotta color with gold streaks. The grain is generally straight or spiraled with medium to fine texture. 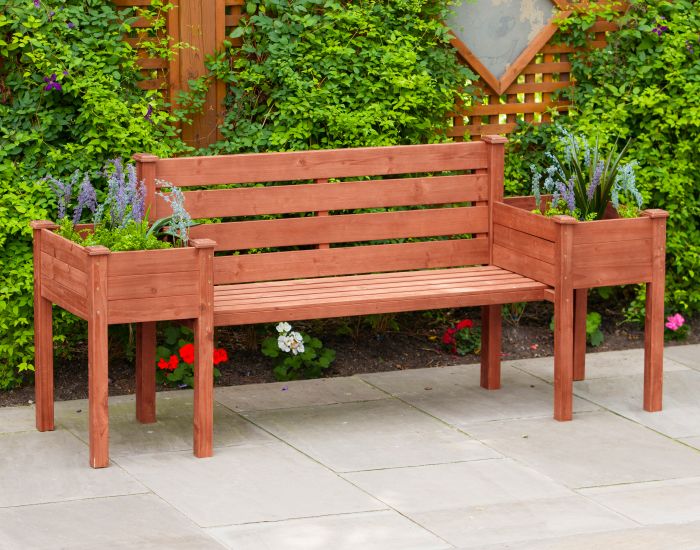 Larch is strong and durable outside without the use of preservatives. These properties make it an ideal wood for outdoor use such as garden furniture, decking, cladding and fencing. Historically boats were planked with Larch and some timber still finds its way into quality boat building today. Traditionally valued for its strength and durability mankind has witnessed the unique performance of structures built out of Larch. Their experiences led them to refer to Larch as “The Tree of Eternity”. Some homes and churches built with Larch have been estimated to be in existence for over 800 years. Perhaps the most famous example of its longevity is its use in the construction of the ancient city of Venice with many of the foundations of the old Venice rest upon Larch. Some of our products are made of Eucalyptus wood. A renewable resource which is in plentiful supply and is one of the most environmentally friendly hardwoods being harvested. 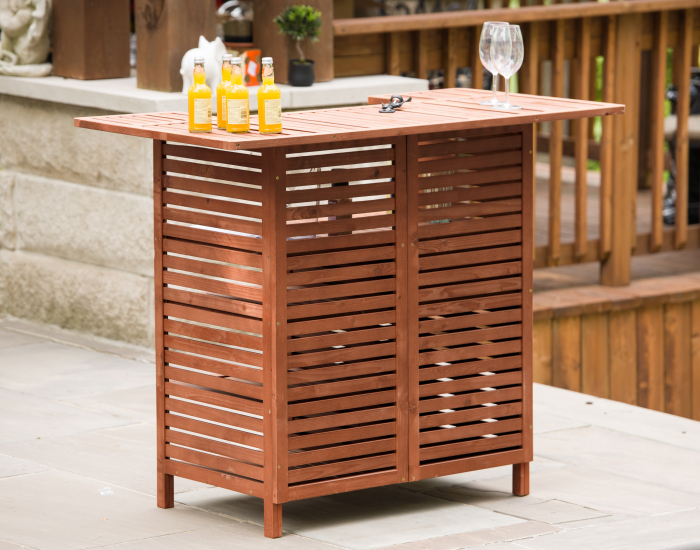 It is a native of Australia and is also harvested on Brazilian plantations: like Teak, it is incredibly solid durable wood which naturally resists insect infestation and moisture damage, making it a fantastic outdoor furniture and garden products material. Prized for its weathering characteristics in all climates this high quality timber is legendary for its elegance with strait-tight grain and a smooth finish with rich tones. Eucalyptus requires minimal maintenance and is extremely dense, rot and decay resistant with a high oil content that repels water and moisture. Eucalyptus forests grow back very fast, making it a more ecologically friendly option than teak.